Leadership commitment – Organizations and networks that have been most successful with making significant changes, and most importantly increasing their impact due to these changes, understand that it is, and plan for it to be, a long term process. Our organizations often plan and budget in annual or 3-5 year cycles, but many significant changes take longer than that. It is worth having discussions up front on a regular basis with your key stakeholders on progress that is being made, challenges you have faced, what is still needed, and how your organizational timeframes may need to be modified. Changing paradigms takes practice – Changing the way an organization operates can take practice, just like practicing a sport or instrument. Trainings are important but board and staff need time and support to actually practice new approaches. Having ‘accountability buddies’ or working groups that can support each other can encourage the practice needed to internalize and implement new ways of operating. Peer support – For senior leadership tasked with implementing change, having peer support from other organizations going through similar changes can be helpful as well. For this project – Testing Change over a multi-year period – it was one of the most important ‘value adds’ participants have identified from being involved with a global peer community. Effective communication channels – As a colleague noted, those directly involved in decision making and change processes often get too busy doing what they are “supposed to do” and forget or neglect to communicate in a timely and systematic manner. Having communication systems set up and used so that they become an important part of what you are “supposed to do”, and putting people in charge of making this a priority, can help to keep the momentum going for all of your key stakeholders. Creating the space to ‘admit failure’ and adapt – Organizations have traditionally been in the practice of focusing on their successes in order to impress potential donors. But as we are now realizing, failure or mistakes, learning from them, and adapting, is part of what makes long-term success and impact possible. We need to try and adapt our organizations and their partners (including donors where possible) to allow the space for this to happen. Path to financial sustainability – As the author of this piece notes “All good things must come to an end – and grant funding is no different.” This is an important part of the impact and long-term sustainability question. 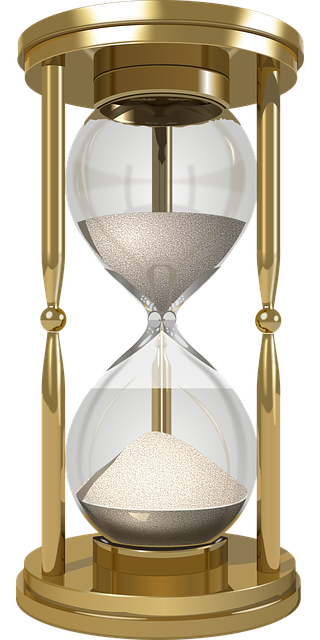 Whether you have grant funding or dedicated organizational funding for a particular change, chances are good that the change itself will need a longer life than the initial funding. What can you do at the start to begin to think about this long-term viability? Ways to bring people in and out over time – With the rate at which people change positions and jobs it is highly likely that some of those championing or shepherding change may move on while the change implementation is still in process. It is thus important to recognize this and have processes for smoothly allowing people to depart and bringing new people ‘up to speed’. We have changed our Testing Change Steering Group members over time, and two of the organizations involved in this project have changed their CEOs in the past six months. We are hoping that we have enough project memory documented, and organizational commitment that our transitions will be smooth ones. So far this has been the case! In doing research, I was surprised at how rarely we see long-term case studies. It would be great if there would be more sharing of this type of long-term change learning!